These stables were built to house 12,000 horses. After an earthquake in the 18th century most of the roof of the stables fell in, but it’s still an impressive sight. 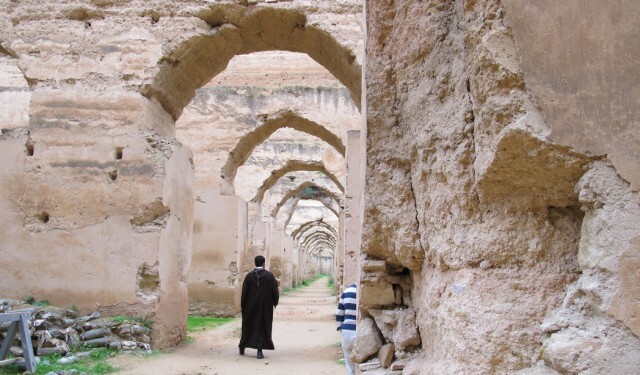 There is more information <a href="http://www.morocco.com/blog/royal-stables-in-meknes&quot;here.